Our cafe and pancake house serves delicious homemade food including sweet and savoury pancakes with a range of toppings, fillings and sauces. We also serve a range of gluten free, dairy free and vegan options. We are currently closed while renovation work takes place at our site. We hope to reopen before the end of April 2019. 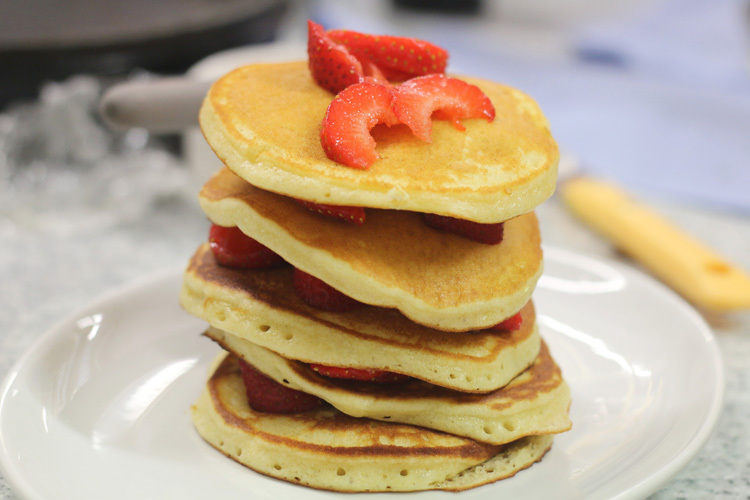 Hold a birthday party with a difference with our pancake and pottery party. You and your guests will get the opportunity to throw a pot on the wheel to take home with you, and the enjoy some of the delicious range of pancakes in our cafe. Parties include pancakes or a party food buffet and drinks in our cafe, the opportunity to create a pot on the wheel with our potter and access to our site including soft play area, adventure playground and animals. Our cafe staff will provide a professional, non-intrusive and compassionate service to guests and offer the high level of care and attention that you would expect on such a day. We hope to make planning as easy and as stress free as possible for you, contact us for more information on the day and for menu options. We have a variety of meeting spaces suitable for all group sizes. We can also offer lunch and catering options, contact us for more information.